Searching homes for sale in Bayamon, PR has never been more convenient. 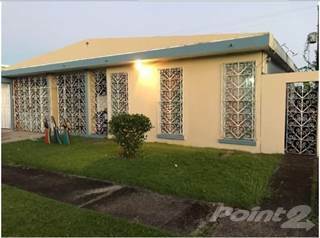 With Point2 Homes, you can easily browse through Bayamon, PR single family homes for sale, townhouses, condos and commercial properties, and quickly get a general perspective on the real estate prices. You can also filter listings based on price drops in the past six months, so you’ll never miss a bargain. Get instant access to a lot of relevant information about Bayamon, PR real estate, including property descriptions, photos, maps and Bayamon demographics. You can also use the map view to find homes and apartments for sale based on amenities in Bayamon, PR that you may want close by. There’s information on the Bayamon, PR real estate market at the bottom of search results pages, if you’re looking for an overview of the area. If you’d like to work with a professional, contacting real estate agents in Bayamon, PR is very easy. All you have to do is check the details for your favorite real estate listing, and use the form there. Or, if you’d like more options, click on the Tools tab and Find an Agent. 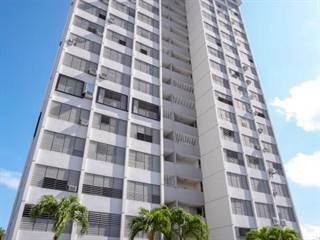 There are 194 homes and apartments for sale in Bayamon, PR. Easily arrange and sort through all of them based on price, property type, square footage, lot size or building age. You can also use any specific keywords you may want to narrow down your search to only the most relevant properties. Stay up to date with real estate opportunities in Bayamon, PR, by simply saving your search; you’ll receive daily or weekly emails (your choice) from Point2 Homes, with new listings which fit your criteria, while they’re fresh on the market. Located in the northern central valley of Puerto Rico is Bayamón. Bayamón is just 20 miles south of the Puerto Rican capital of San Juan. Considered the second most populated city in Puerto Rico, Bayamón boasts a population of approximately 240,00 residents within its 44.53 square miles. Bayamón has a thriving tourist industry along with one of the biggest commerce sectors in Puerto Rico with over 20 shopping malls and plazas in the city. Coffee, grapefruit, sugarcane and tobacco are all part of the agriculture sector in Bayamón, which is also home to a sugarcane mill dating back to 1549. There are 20 colleges and universities located in Bayamón with the University of Puerto Rico maintaining one of its 11 campuses in Bayamón and boasting a student population of approximately 5,000. As part of the metropolitan area of San Juan, Bayamón shares a lot of the culture with the capital city. There is a lot of Spanish influence and the area boasts enough things to keep one occupied without being designated a major tourist area. The art and music of San Juan has filtered down into Bayamón and can be discovered within the restaurants, bars and everyday life. The indigenous people of the area were called Taino. The name Bayamón has two origin stories including a deviation of one of the Taino chiefs as well as the name of the river which became a center point of the city. It was not until the late 18th century that Bayamón became an official Spanish settlement. There are 5 rivers that cross through Bayamón: Río Bayamón, Río Hondo, Río Minillas, Río Bucarabones and Río Cuesta Arriba. Bayamón is mostly a flat area with very good soil for raising crops. Located in the Northern Coastal Valley, the climate is considered tropical with high temperatures in the 80s all year long. The warmest months in Bayamón are June through October where highs average between 87-89 degrees. The coldest months are December through April when lows dip into the upper-60s. The rainiest month is August where an average of 8 inches of rain falls and the two driest months are February and March with approximately 3 inches per month. The total annual rainfall averages 71 inches. 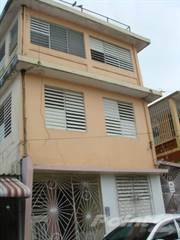 Real estate and rentals are a little less expensive here than in nearby San Juan. There are homes, condos and apartments available to suit all budgets and preferences. Home to over 200,000 residents, Bayamón is a busy community filled with shopping, agriculture and access to the capital city of San Juan. Being only a few miles from the ocean means residents can easily head to the water for surfing, swimming and more. Nickname(s): "The City of Science"
Filled with many landmarks and cultural areas, Bayamón showcases its culture in a variety of ways. The two major museums in the city are the Museo Francisco Oller and the José Celso Barbosa House Museum which is a dedicated historic site and former home to a local doctor. Bayamón hosts many culturally significant festivals and events throughout the year including the Festival de la Santa Cruz which is a celebration of Bayamón's patron saint and features religious processions, music and food. Other notable annual festivals include the Festival de Artesania, Festival del Chicharron and the Jose Celso Barbosa Anniversary. There are 20 higher education institutions in Bayamón. These public and private universities and colleges offer a variety of degree programs and educational opportunities for the 10,000+ students attending these institutions in Bayamón. The Parque de la Ciencias is a major science center with great features such as an observatory, a zoo, an artificial lake and various exhibits regarding space exploration, science and health. Bayamon has a thriving nightlife where anyone can find the perfect spot to listen to music or party into the morning. Along with the El Tropical Casino Bayamon there is La Factoria, Club Brava, Start Night and El Farolito. There are many sports teams who call Bayamón their home. The association football clubs the Puerto Rico Islanders and the Bayamón FC both have their home field at the Juan Ramon Loubriel Stadium. Along with soccer teams, there are professional and amateur baseball and basketball teams as well as volleyball. Bayamón is separated into 12 barrios with Hato Tejas, Minillas, Juan Sanchez, Pajaros, and Cerro Gordo being the most populous. Home to over 5,000 residents, the Pueblo of Bayamón is the district where the main downtown part of the city is located as well as the administrative buildings. The Bayamón City Hall is famously built across a divided highway and allows visitors to pass between buildings in a corridor over the street. Hato Tejas is home to the first sugarcane factories and mills in Puerto Rico that helped drive the economy. Today, Hato Tejas is home to the Parque de las Ciencias and is a short drive south of the shores of the Caribbean Sea. Located in Central Bayamón, Minillas is home to the Bayamón campus of the University of Puerto Rico as well as the Universidad Central del Caribe and the Caribbean University. Minillas is a very developed area. Juan Sanchez is located in the far northeastern part of Bayamón. The Rio Hondo and the Canal Rio Bayamón on the western side of the barrio and Fort Buchanan are situated on the eastern side. There are international retail companies located throughout Juan Sanchez including a Costco as well as various other restaurants, retail stores and services. Having been hit with the Great Recession, the prices of homes plummeted but are now rising back to normal levels. This has allowed for the luxury homes and condos to become available at a very affordable rate. As a suburb of San Juan, Bayamón does not cater to the touristy crowd as much as places closer to the water do; however, there are resorts and casinos that help drive tourism. Bayamón is designed more for those seeking to live and work in Puerto Rico as opposed to retire. The fact that Puerto Rico is a territory of the United States means that the economy trends similarly. Compared to San Juan, Bayamón is considered to be cheaper regarding rental and real estate properties. Rentals in Bayamón are actually over 20% cheaper than in nearby San Juan. When compared to Ponce, which is located on the southern end of Puerto Rico, Bayamón is actually 25% more expensive. As a territory of the United States, there are no strict laws regarding home sales like there are in some Caribbean countries such as Mexico. Bayamón is home to 20 colleges and universities. The University of Puerto Rico has a campus in Bayamón and offers degree programs in biology, computer science, chemistry, electronics, engineering and more. Bayamón Central University is a private, Catholic higher education institution with a student population of around 2,100. Other notable colleges and universities in Bayamón include the American University of Puerto Rico, Universidad Central del Caribe and the Metropolitan University. Public schools in Bayamón are similar to those in the United States with the main exception being that classes are taught in Spanish. The breakdown of tiers are grades 1-6 being for elementary schools, grades 7-9 for junior high school and grades 10-12 for high school. There are over 150 public schools in Bayamón and they are managed under the Puerto Rico Department of Education.